I am often asked some very difficult questions about the medical community’s efforts to prevent stillbirth and other poor pregnancy outcomes. Why do I have to have 3 miscarriages before they will do any tests? 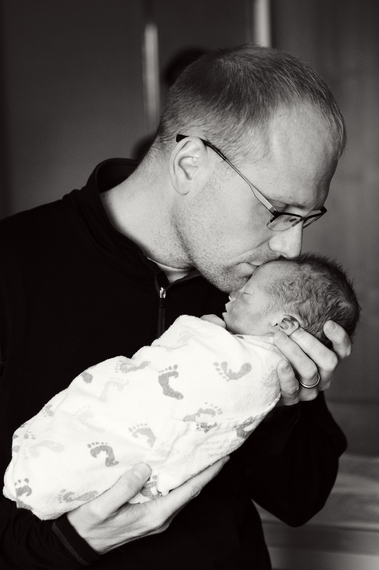 Why was my doctor willing to induce me at 40 weeks once he knew my baby had died – but he wasn’t willing to do it 3 days earlier when my baby was still alive? Why did my doctor recommend tests that cost thousands of dollars after my daughter died, but didn’t want to order much less expensive tests to look for potential problems earlier? When I asked my doctor about causes of stillbirth, he said drug use and obesity are the primary causes. It doesn’t make sense to me that they say stillbirth isn’t caused by something the mother did – but the causes they give us are the mother’s fault. I received wonderful care in my rainbow pregnancy, but why did my son have to die before I could get this kind of care? Who decides what tests are appropriate or worth the money? In general, I don’t have very good answers for them. Some questions can’t be answered without more information about the situation and the medical decision making process, but many are related to the policies and finances in health care. In most cases, the providers gave the answer or acted as they are taught and as they are expected given the standard of care set by their professional organizations and local institutions. That doesn’t make it easy to explain to a family that policies determine which conditions or babies are worth the additional cost and risk. It is especially challenging when policies may be in place because of or despite the lack of solid research into the issue. And, of course, hind sight makes every decision that weighs financial costs against the life of a specific child look horrible. Despite the huge challenge, I am optimistic! In the 12 years since my son was stillborn, I have seen significant improvements and advancements. There is a momentum that is exciting and worth encouraging. We can all do something to make 2017 a year that started even more change toward prevention! Evidence-based medicine and patient-centered care are two very popular buzz words in health care, but they often don’t make sense to the general public and can be conflicting principles. I attended a lecture last week by Dr. Sixto F. Guiang on this very topic at the annual meeting of the Minnesota Perinatal Organization. He did a wonderful job of explaining to the audience how and why evidence-based medicine is used. But, I also appreciated his acknowledgement that it is critical that common sense also comes into play. Most physicians are very scientific, analytical people. They like concepts to be proven in black and white and have a clear explanation. I admit that I am one of these people! Unfortunately, life doesn’t always follow the rules – especially in medicine. The concept of evidence-based medicine is that decisions made and interventions employed should be proven to be beneficial without undue harm. It also considers the frequency of false-positive or false-negative results, emotional distress on the patient, and cost-benefit ratio. To make these decisions, we utilize research studies that come in varying degrees of rigor and quality. By definition, research is not perfect, but it is often the best we can do without placing humans at unreasonable risk or breaking rules of ethics. 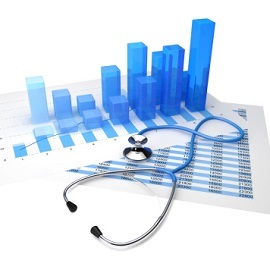 We utilize statistical applications of power, statistical significance, confidence intervals, odds ratios, and more. After years of work and analysis on many studies, health care leaders do their best to interpret the findings and make suggestions that are used by health professionals. Protocols and guidelines developed from this work helps providers make decisions, offer recommendations to families, and be confident in their practice. It serves to keep providers from being swayed by a single study or ancedotal stories. It helps insurance companies know what treatments are reasonable and cost-effective in an effort to reduce costs related to unnecessary or unproven methods. The drawback is that research isn’t perfect. There are often outliers that don’t seem significant – until YOU are the outlier. That’s when the reality hits that we are working with people who have families that love them and lifetimes of potential. 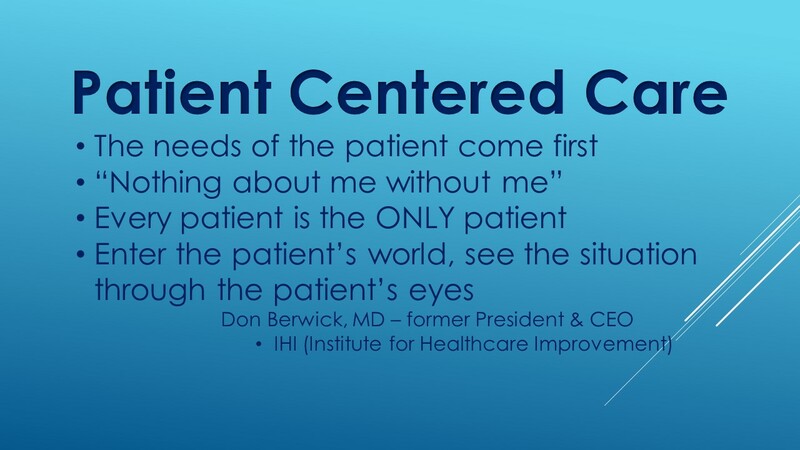 This is where the principle of patient-centered care enters the picture. Health professionals may be the ones with years of study and experience, but the patients are the individuals who must live with the effects of decisions. This is why we also consider clinical significance – what type of an impact the decisions have on the patient and family regardless of if the studies show it to be statistically significant or not. Patient-centered care requires providers to respect individual beliefs, desires, needs, and values. It is the idea that the patient can determine if recommended care is appropriate for them. Families today are more educated, more empowered, and have more resources than ever before when making medical decisions. When the science directs us to a protocol or decision that is desired by the patient, the system works beautifully. But, what do we do when the science and the patient’s wishes differ? There are many examples of this throughout medicine, including in obstetrics. The 39-week rule, bed rest, stripping membranes, pain control during labor, prenatal testing and monitoring, pregnancy after loss care, and more are issues where the patient and provider may or may not agree, and the science may or may not support either side. This is the true ‘art’ of medicine. Depending on the situation or your personality, this gray zone can be frustrating or empowering. As with any skill, there are some providers who excel at this aspect and some who struggle. There are also patients who appreciate or are challenged by the lack of easy answers. It may appear that these two guiding principles of health care work against each other. But, they don’t have to. I urge every health professional to use evidence-based medicine as a tool for patient-centered care. It is not the one and only answer, but it helps us make decisions WITH our patients. Each decision should be a dialogue between the patient/family and the health professionals. The medical evidence is part of what the providers bring to this conversation. So is their experience. The families bring to the table their own values, experiences, cost-benefit ratios, and needs. The patient-provider relationship is a partnership with equal amounts of respect. The outcome will probably not look the same in every situation – and that is not a bad thing. Every patient is different, so it is appropriate that their decisions and outcomes may also be different. 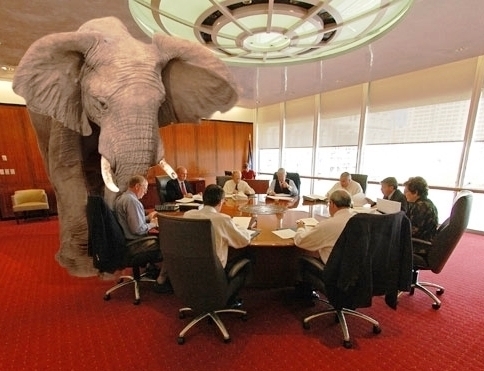 The elephant in the room, especially in the United States, is that the guidelines and evidence-based practice help protect the health professionals from litigation. If they follow the protocol, their liability is reduced. This is fueled by our desire for black and white answers. However, most patients are not inclined to pursue legal recourse for unexpected outcomes if they were part of the decision-making process and felt that their opinions were heard and respected. Instead of teaching our new health professionals that the protocols and guidelines will keep them out of court, we should help them understand that listening to and partnering with their patients will keep them out of court AND lead to more positive outcomes (as the family defines them!). Instead of feeling limited or protected by the concepts of evidence-based medicine and patient-centered care, we all need to embrace what they can bring to the table. 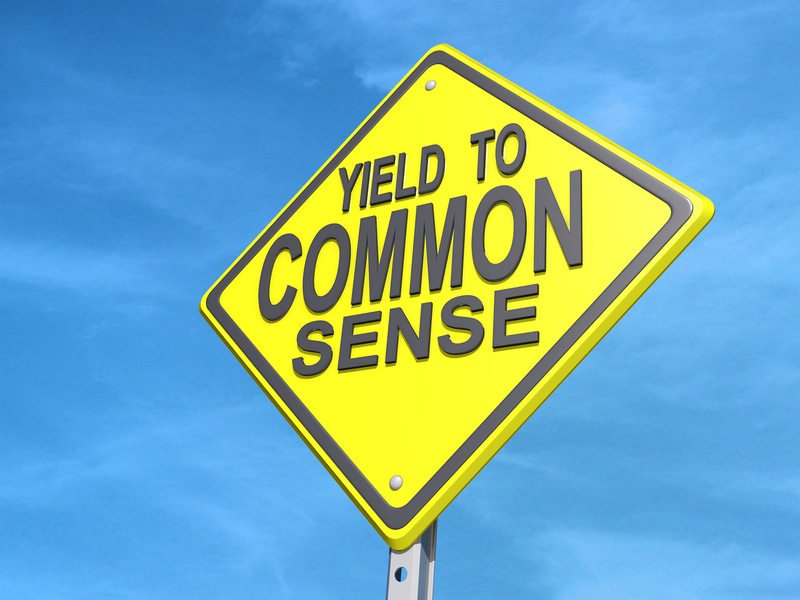 This is what Dr. Guiang was referring to when talking about using ‘common sense’. These concepts should be well-understood and respected by health professionals and patients because they are part of the large and small conversations in health care today. And they can make significant differences in all of our lives. I had the pleasure of spending this week in Montevideo, Uruguay at the Joint Conference of the International Stillbirth Alliance (ISA) and the International Society for the Study and Prevention of Perinatal and Infant Death (ISPID). In addition to visiting a beautiful country with a rich history and friendly people, I was able to learn more about the progress toward stillbirth prevention and meet with some of the world’s most passionate stillbirth researchers! I am extremely excited about some of the research being done. Several presentations gave more detail about the studies in the recent Lancet Series on Stillbirth. Others shared new and exciting findings. Here are a few highlights of what I took away…. There are now four studies that have shown that sleeping on your back can increase the risk of stillbirth. It doesn’t appear this can cause problems by itself, but can be significant for babies that are at risk for other reasons first. A photo of a pregnant woman’s inferior vena cava while lying on her side, and then immediately after lying on her back shows obvious compression. This can decrease the blood flow throughout her body and to her baby. Nurses have understood this theory for decades and will turn a woman onto her side if the baby starts to show distress or if the mother become light headed. It is worth noting that this woman didn’t experience any symptoms – so we can imagine how much compression might be present for those who are symptomatic. Dr. Jane Warland presented data on use of a belt designed to keep pregnant women off their backs while they are sleeping. It also indicated that the baby has less distress and the mom had better oxygenation on nights that mom wore the belt! Researchers in New Zealand have seen a decrease in their overall stillbirth rate in the last few years since these studies were in the news. Even without official medical recommendations, it appears women have started to sleep on their sides during pregnancy, and it appears to have prevented some stillbirths! In any case, it hasn’t shown to be harmful at all. All of the sleep researchers are cautiously optimistic about their findings, but I suspect that very soon there will be significant recommendations about encouraging pregnant women to sleep on their sides. And you may see more devices available to help them do so all night. Many studies are looking at fetal movement and how it may be a symptom we can use to detect a vulnerable baby. Over the years, interest in this topic has been hot and cold, but there is new excitement. In general, the researchers all recognize that fetal movement is definitely an indicator that women and their providers should monitor. The research is trying to better identify how to measure it and how to respond when it changes. All of the studies presented show that there is not a certain number of movements or ‘kicks’ that can determine if the baby is well or not. Altered fetal movement is the concerning factor. If a baby is moving significantly less, or more than usual, that should be reported and investigated. Similarly, there can be differences in how the baby is moving. For example, a baby who usually has smooth and calm movements but is suddenly showing strong, jerky, and sharp movements should be evaluated. It also doesn’t matter how a mom monitors fetal movements. Studies reported looking at kick charts, smart phone apps, or even just moms making a mental note. They were all equally effective. The important thing is that moms are cognizant of baby’s activity and report their findings to their health professional. My favorite analogy on this topic came from Dr. Alex Heazell. There is often a lot of concern that fetal movements aren’t a very specific ‘test’ of distress – and this is true. But Dr. Heazell pointed out that fetal movements aren’t a test, but a symptom. Unfortunately, symptoms are not good indicators of disease in any aspect of medicine. However, they still have value. He used the example that only 5% of people with chest pain are actually having a heart attack. Yet, we don’t hesitate to tell someone clutching their chest that they should be seen and evaluated immediately. We must take fetal movement as a serious and imperfect symptom. I was very proud of our entire organization and all of the families who participated in the STARS Study when Dr. Jane Warland and Dr. Alex Heazell presented some of the findings at this conference. In addition to data about fetal movement that reinforced the other presentations, they talked about hiccups, time of death, increased fetal movements, and maternal intuition. Each of these aspects of the STARS study was included because we need to know more information about them. What the STARS study accomplished was to indicate these properties occur often enough to warrant future study. For example, 83% of the women who experienced a stillbirth said they had a gut feeling at some point in their pregnancy that something was wrong or that the pregnancy wouldn’t end well. In comparison, only 19% of the women who delivered a living baby had the same instinct. Many women couldn’t explain the feeling, but knew they didn’t feel right. We continue to learn more and more about providing proper bereavement care to families. While listening to our South American colleagues, I was reminded that we have made some progress in the US. One of the main priorities for advocates in Argentina is giving families the right to name their babies and see/hold their babies. Many families around the world are still prevented from the memories and honors most Americans are allowed. But, everyone has room for improvement. Discussions about bereavement photography, culturally-competent care, care in subsequent pregnancies, and mental health resources remind us there is still much to do. I was intrigued by the many presentations looking at autopsy and audit after a stillbirth. Fetal autopsy and placental pathology are considered the two most cost-effective tests to determine a cause of death. Autopsy rates around the world for stillbirth remain very low which reduces the number of families who might learn a cause of death and decreases the information we can learn from many of these babies. Reasons why families often don’t want an autopsy include the idea that the baby has suffered enough, they have too many unanswered questions, or they fear they won’t learn an answer anyway. In the US, we also hear of families concerned about the costs associated with this testing. Families who agree to autopsy are usually seeking as much information as possible, want to improve general medical knowledge, desire information to guide future pregnancies, or hope to find closure. A study in Holland looked at if parents should be involved in the review/audit of perinatal deaths that is usually conducted by the medical personnel involved. This study indicated that parents were interested in participating and felt it would help them trust that they had honest answers about what went well or not and that they would be a part of conversations deciding how the health professionals can learn from the situation to improve. The PSANZ organization in New Zealand has created Project IMPROVE. This is a training course for obstetricians and midwives to learn more about investigating stillbirth and neonatal death. It is a well-done curriculum that reviews options for tests, how to ensure the best results from autopsy and pathology, how to communicate with families, how to conduct beneficial audits of the care, and how to evaluate and classify pathology findings. Star Legacy Foundation is excited to be partnering with this organization, Dr. Bob Silver and Dr. Ruth Fretts to bring this curriculum to the United States! Babies who are not growing properly are known to be at increased risk for stillbirth. Dr. Heazell presented information about placenta growth factor and other biomarkers they are testing to better predict and identify babies who will/are not growing well. The placental growth factor combined with ultrasound evaluation is looking very promising and is just one of the tests they are investigating to know more about placental health and preventing/treating placental insufficiency. What will you do to ensure that babies who are stillborn are no longer left out or left behind??? I agree with her proposals and am motivated to do my part. Throughout this week, I was able to talk to a number of individuals and I am very excited about how the projects of Star Legacy Foundation are going to fit in with these world-wide goals and initiatives. First – Star Legacy will be hosting the 3rd Stillbirth Summit in Bloomington, MN June 21-23, 2017. We hope you’ll join us to hear first-hand more research findings and participate in discussions about how to be part of the solutions! Second – Star Legacy is working on some exciting research initiatives that will be launched in the next few months. I am confident they will be extremely helpful to researchers and significantly move forward what we know about all forms of pregnancy loss. Be watching our newsletter and website for more information and how you can help! Third – we will continue our patient education programs focusing on knowing your risk factors, adopting a healthy lifestyle, monitoring baby’s activity, and empowering women. We will also partner with health professionals to better assist families in making decisions about testing after a stillbirth. Fourth – we are supporting researchers in the US and Australia who are looking at the stigma around stillbirth and a world-wide need for more respectful maternity care. There is much more to come – but we can all be part of this momentum that is palpable and exciting! Contact us if you would like to be part of what Star Legacy Foundation is doing! It is supposed to make us feel better because it isn’t our fault and nothing could have been done to prevent it. And to some people at certain points in their grief journey, it is comforting. However, to me right now – it is infuriating. It gives me the feeling that there is no desire to improve or do anything about it. To a bereaved parent like me, it translates into – My baby isn’t worth the extra time, energy, resources, etc. That is insulting and false. Every baby is worth the effort to give them the best chance at a happy, healthy, productive life with a family that loves them more than words can describe. I know that every health professional working in this area would love to eliminate these tragedies. I believe completely that they do want to do something about it. So why is this platitude used so often? Part of it is our societal discomfort with grief and a need to smooth everything over and make it all better. We hear platitudes all the time trying to minimize shocking situations because looking the horror in the face is often more than we are equipped to do. The other part of it is that medical professionals have been trained that we can’t pursue theories or potential interventions until they have been proven many times over. There is good reason for this approach and it has served the public well many times. However, there is also a benefit to acknowledging our short-comings and having an honest dialog rather than repeating clichés and hoping it will make things better. We don’t currently have a magic bullet that will make it go away. We don’t even have the answer to ‘why’ this happened for the majority of families. We are far away from a simple, inexpensive solution wrapped in a pretty bow and served on a silver platter. There are little things that we can ALL do. And it starts with awareness and education. Why? Because information is power. It doesn’t mean we have to have all the answers. Even the discussion is beneficial. We have heard from researchers conducting prospective studies that their stillbirth rates in the study group are significantly less than expected. This means their stillbirth rate was less than the rest of the population that is not in the study. It appears that knowing babies can die and that people are trying to figure out why/how to stop it – has some preventive effect! That is a really simple and inexpensive method. It isn’t 100% by any means and we may not understand how or why it works – but I’m happy with the improvement. Norway, the Netherlands, and New Zealand have seen a reduction in their stillbirth rates by encouraging mothers to monitor their babies’ movements and discuss them with their health providers. In Scotland, an effort led by SANDS was able to reduce their stillbirth rate by 18%. In fact, their next report is expected to show a decrease by 20% in the last three years! The three things they did for this result? If we could do something similar in the US, there could be nearly 5,000 fewer families planning funerals for their babies next year! For health professionals or anyone else working with expectant families, it’s a change in how we talk about it. To my health professional colleagues, please have a challenging but honest conversation……. This creates a partnership with the parents and has the potential to prevent poor outcomes! It is respectful of the parents and helps them become well-informed participants in their care. While it is obviously something an OB or midwife would say, we can all encourage these same parents to know their risk factors and be aware of any signs baby may be offering. Ignoring perinatal loss doesn’t make it go away. We need to attack it head-on to make a real difference. I believe that parents partnering with health professionals in this way will have a dramatic effect on our stillbirth and other poor outcome rates. I hope you’ll join us for this partnership! ¹ Star Legacy Foundation’s See Me, Feel Me patient education tool is a good resource for obstetrical providers when having these conversations. Contact us at info@starlegacyfoundation for a free copy. One step at a time…..
Grief is often described as a ‘journey’ – and I understand why. My journey with stillbirth began 12 years ago this month. I’m still not sure what the ‘destination’ is, but I would describe it as a long hike. At the beginning of the hike, I was standing at the bottom of the mountain. Looking up at the path in front of me was overwhelming, and it was bigger than anything I had ever done before. I had significant doubts about my strength and stamina to even begin such a task. Part of me wanted to go around the mountain thinking it would be easier. But that was a long trip, too and I wasn’t guaranteed a smooth path there, either. After staring at the mountain for a long time, I started climbing the way everyone does – one step at a time. I did a lot of stumbling and slid backwards often. I’m still not at the top – and I don’t expect to get there. But I have learned a few things along the way. I laugh at the thought that anyone could be prepared for this type of journey. None of us are. But if you are at the base of this mountain, take a moment to think about the days and weeks in front of you. You don’t have to start running the minute your feet hit the ground. Take a deep breath, ask questions, and feel the love and support of those around you. It often feels like we are alone on this path. But there are people willing to be our buddy for the trip. It may be someone you already know, or it may be a new friend that you met only at the mountain. This is the person who can give you suggestions, help you avoid the loose rocks, be your cheerleader when you need support to continue, and will sit down with you when you need to catch your breath. We have to take care of ourselves if we want to get up that mountain. It’s easy to have poor or absent nutrition, develop bad health habits, or use substances as coping mechanisms. The work of climbing this mountain is much easier if you are eating properly, getting good sleep, engaging in physical activity, not using alcohol or other substances, and seeking medical attention for health concerns. It may not seem like a top priority at the moment – but it needs to be. Somewhere on the way up the mountain, you will need or want to grab the hand of someone willing to help. Don’t be afraid to do so. It is not a sign of weakness, but of personal awareness. Some hands help with daily tasks. Some hands are professionals who can help you stay healthy. Accept the help you need or that would just make the journey a little less stressful. The entire mountain doesn’t have to be climbed at once. Take breaks to catch your breath, look around, and see your new environment. Get a drink of water, take a nap, have lunch with friends, laugh, get off the path to see the wildlife, watch the sunrise, do something you’ve always wanted to do. These short diversions are healthy and help you prepare for the next portions of the hike. There are probably more ‘small’ victories than you realize along the path. Those rough patches in the journey may look like planning a memorial service, surviving milestones and anniversaries, being around babies that are the same age as your baby, returning to work, making new friends, adjusting to other people’s reactions, attempting another pregnancy, surviving another pregnancy, or more. Give yourself credit for overcoming those obstacles! When you are looking back, you will see fellow hikers who are just starting their road up the mountain. Offer them a hand through the rough patches or across the gaps. It can be very healing to give back and it has helped me to appreciate how far I have traveled. This has been the hardest for me to learn and accept. I resented the fact that I was even on the mountain. Finding peace is a challenge if you are at odds with the ground you’re walking on. In time, I began to think of the mountain not as my grief – but as my son. This path is my journey of love with my son – not a journey I was put on because we lost him. It’s not the mountain I had planned, but I have learned to appreciate it. It reminds me of what is important in life and why I continue to put one foot in front of the other. A father’s advocacy never ends. I hope Landon is proud of me today. This year I’m celebrating Father’s Day with an empty highchair at our dinner table. Two years ago we lost our son Landon to stillbirth at 38 weeks gestation, just a few days before his due date. I had grown up believing Father’s Day was about honoring your father, which I still do, but it’s taken a different meaning for me now, wanting to advocate for my children in a way I had never planned. My story begins much like any other excited couple expecting a new baby. My wife Carrie was 38 weeks pregnant with our second child. We had already been blessed with a healthy daughter Elise two years prior. Carrie’s pregnancy was “text book.” Other than mildly high blood pressure everything was going perfect and in just a few days we would be expecting our son. I still remember the morning of Thursday, May 15, 2014. I kissed Carrie goodbye on my way to work and put the baby’s car seat in my vehicle, eagerly awaiting his arrival. I had waited to do this until his due date was closer, but I felt confident the time was right, just in case he came early. Carrie was on her way to her last ultrasound appointment that morning. My life changed forever that day. During Carrie’s last, routine ultrasound the technician could not find the baby’s heartbeat. He was gone. I rushed to the clinic to find Carrie leaning over a chair in a back room. She was in shock. I asked the doctor “how could this happen?” The doctor shrugged her shoulders and said, “It happens.” I was speechless. I prayed Carrie would feel the baby move, and for this all be some horrible mistake. Unfortunately that didn’t happen. We were told to go home and come back the next day to deliver our baby. One of the most exciting times in our lives had turned into a nightmare. The next day we delivered our sleeping son Landon. A perfect baby boy almost 8 lbs. We were given 36 hours to make a lifetime of memories by taking photos, his hand-prints, locks of his hair, and introducing him to his big sister. The following week we buried our precious son. It was a bright sunny day with the flowers in bloom. Surrounded by family and friends we said goodbye to the boy we all wanted to know. After the funeral, Carrie and I started the quest for answers. We sent her medical records to a well -known doctor who has dedicated his life to reducing stillbirth and studying the human umbilical cord (Dr. Jason Collins). Shock struck again after finding that Landon’s cord knot was actually visible in some of Carrie’s ultra sound pictures. How could this have been overlooked? We never got the answers we asked for, but have turned our passion for answers into advocacy. This started a new journey in our lives. It was time for me to advocate for my child. Shortly after Landon’s passing I joined the Star Legacy Foundation whose mission it is to reduce the number of stillbirths and change society’s thinking about them. Stillbirth is a public health crisis. Every year in the United States approximately 26,000 children die from stillbirth, more than S.I.D.S. and childhood cancer combined, yet little to no funding or research goes towards this cause. How can society be forgetting about these children who were so close to greeting their parents with a healthy cry? Unfortunately the medical community has been less than open to change, and interestingly comfortable with the number of stillbirths based on current data. My son seems to be a “statistic” that is accepted by the medical community. So we began contacting state health agencies and ACOG (American College of Obstetrics) asking them to use today’s technology more effectively to watch for warning signs of fetal distress and to identify ticking time bombs. I’m not a doctor, but often wonder how they are able to perform such complex procedures like heart or microscopic surgery, but yet they say it’s not possible or necessary to detect a knot in an umbilical cord. I’ve asked the medical community these questions. One doctor told me that they “just don’t want to scare pregnant mothers.” That is a poor response to a “stillbirth dad,” to which I’m now referred. Additionally, there should be more awareness and education for expecting mothers about tracking fetal movements and what are the warning signs of fetal distress. Reputable organizations across the nation such as The Star Legacy Foundation have material on how to do this. Why were we not educated about this from our “trusted” medical provider? We have already had success in this journey, however. In my home state of Minnesota, our lawmakers are listening and this last year passed into law a bill encouraging the Minnesota Department of Health to begin researching the causes of stillbirth and to start drafting recommendations to reduce these tragedies. 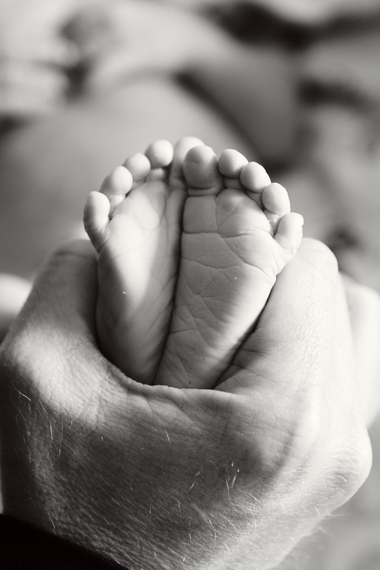 This year we were successful in convincing Minnesota lawmakers to provide a $2000 one-time tax credit for stillbirth families to offset the unexpected expenses when a baby is stillborn. I am hopeful this is a movement for other states and for action at the federal level. On this Father’s Day life has gotten easier. A few months after losing Landon, my wife and I found out we were expecting another child. How happy, but scared we were. I prayed every night that history would not repeat itself. Carrie and I began the search for a doctor who would advocate for us. After seven interviews (and some persuasion) we found one! We had ultrasounds twice a week and looked at the umbilical cord in depth at every appointment. 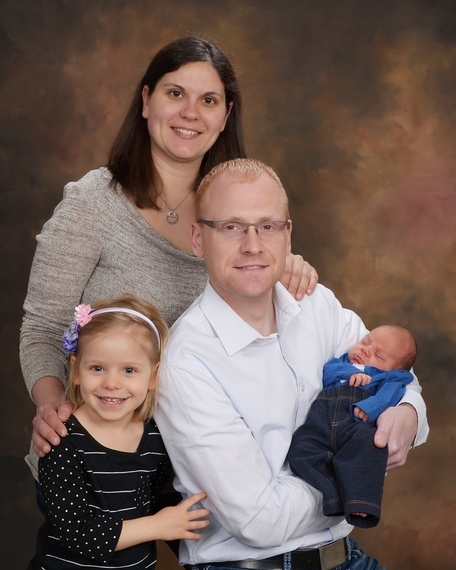 In May 2015 we welcomed home a healthy son, Lukas. “Bittersweet” is the word I use to describe the experience. Looking back over the past two years, Carrie still asks me “why did this happen to Landon?” and “what could we have done differently?” The answer I give her is that we did the best we could with the information we knew at the time. As a father, I have to believe this. I hope Landon is proud of me this Father’s Day. It’s been two years now since I held him last, but I can still smell his baby smell, I can still feel the weight of his body in my arms, and can still picture his beautiful hands and toes. I will continue to remind my living children about who he was, and what took him from us. I would ask all fathers across the country to take a moment to honor their children and to think about how they are advocating for them. They need you more than you know, and the moments you get with them are limited. Landon, as long as I still have a heartbeat, I’ll go on advocating for you and for the all the other babies lost to stillbirth. I have fond memories of Memorial Day from my childhood. We would go around to the cemeteries where my great-grandparents, great aunts and uncles, and grandma were buried. It always took more time than we (as kids) expected because we would run into neighbors or friends who were also honoring their loved ones. But, my favorite part was that this activity would prompt my parents and other relatives to start telling stories about the family members I was helping to remember even though I had never met most of them. Some of the stories were funny, some I didn’t understand at the time, and some were honest explanations of challenging times. I found it fascinating to hear about my own parents’ and grandparents’ childhoods and who they looked up to as they were growing. More than anything, I cherished the sense of family that I learned from these weekends. Of course, I didn’t understand at the time what that feeling was, but I knew it was something special. It didn’t matter to me that I hadn’t met some of these people because I felt like I knew them. The stories I heard about them, the love I could see that my parents still had for them, and the intentional connection we made with them each year helped me to understand who they were, what they taught my parents, and how they impacted our entire family. It was as if I had known them myself and I came to love them for the role they now played in my life. Now almost twelve years after my son Garrett was stillborn, Memorial Day means a lot more to me. But the principle is the same. I know in my heart that Garrett will always be a part of my life, but I still enjoy taking time out of our busy lives to pick out flowers and spend a few moments at the cemetery remembering him, honoring his memory, and cherishing the time we had with him. I don’t have as many stories about Garrett to share with my children as my parents did of their grandparents to share with me. But the quantity doesn’t matter. This has become a time when my children, who were born after Garrett, get to make a connection with their brother in a tangible way and to the extent that they are able. We are comforted by thinking about Garrett’s role and place in our family, what he has taught us, and what he means to us – just as we do with our other deceased relatives. A few months after Garrett was born, I was asked when I would be ‘over this’. At the time, the concept seemed absurd, but it was only because I couldn’t even imagine a day that I didn’t sob uncontrollably and feel the physical ache in my chest. Today, the concept still seems absurd, but it is because I have a different perspective on why. What does it mean to be ‘over’ a loss? Does it mean we don’t cry in front of others? Does it mean we don’t remember? Does it mean we aren’t sad about the situation and wish things had been different? Does it mean we stop loving them? 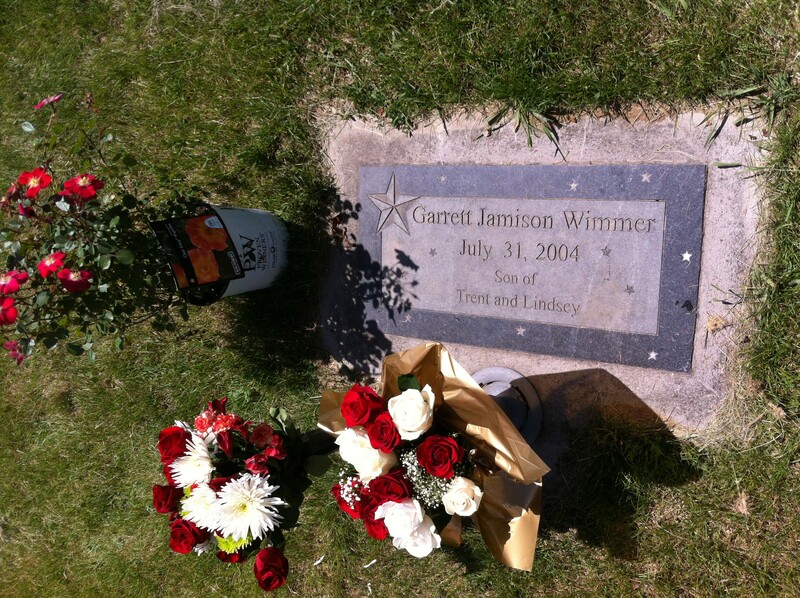 I will NEVER be ‘over’ Garrett’s death – and I’m happy about that. I would be devastated if there is ever a day that I don’t remember him or think about his impact on my life. At this point, remembering him is more comforting than forgetting him. I can laugh about the lighter moments of my pregnancy and I can talk to others about him without dissolving to tears every time. This is adjusting to my new normal. This is recognizing that I will parent Garrett differently than my other children and I have learned how to do that in a way that feels good to me. This is not being ‘over’ him. But this is not a new or unique concept. This is what my parents were teaching me over the years during all the Memorial Days at the cemeteries. When they experienced the loss of their grandparents, parents, aunts, uncles, friends, or any loved ones, they did the same thing I have done. They found a way to have a relationship with that person that doesn’t involve the physical relationship they were used to, but one that works for them and allows them to function in their new normal. They found ways to be grateful for the time and experiences they had with them, and they took the opportunity to share those people with my brother and I. Placing flowers on graves for Memorial Day may not be a tradition for everyone, but I believe we all find our own ‘Memorial Day’. Whether you’ll be celebrating your loved ones on Monday or any other day of the year, I wish you all a gentle and loving Memorial Day spent with those you love.